1.a unit of language, consisting of one or more spoken sounds or their written representation, that functions as a principal carrier of meaning. There is power in the spoken word....words can be good or bad, positive or negative, helpful or hurtful...what we say and how we say it is as important as the interpretation of what we said. There is power in the written word. They can tell a story, convince us to take a stand, or provide us with instruction...today's post is about a word, just one word. I have found myself feeling somewhat scattered the past year...it seems that my lists are simply too long... I have so much that should or could get done, so many deadlines and wish lists that I felt nothing was actually getting accomplished. As I started the new year I wondered what it would bring, what God wanted from me, how could I help my kids, what needed to happen at work or in my volunteer life....what about my friends and relationships? The more thought I gave it, the more I wondered how I could get it all done. As I was praying about this, the word 'nothing' kept coming to mind. I never make resolutions but pick one word each year in hopes of clarifying what I want to accomplish. Maybe that should be my word for the year? Nothing, hmm nothing....even though I understood what it might meant to me, it did not seem like a positive word to spend a full year focusing on...and it hit me...focus...FOCUS...I need to spend this year focusing on God or I will not accomplish any of the rather large challenges I have this year. I can do nothing without Him who strengthens me....therefore I need to spend more time focusing on Him. 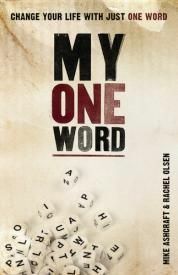 There is a new book titled, My One Word by Mike Ashcraft on our shelf. It outlines a very simple way of narrowing down the one word that represents what you most hope God will do in you this year and helps to concentrate your efforts. Ashcraft writes ,"There's power in words. Beauty in words. Grace in words. Words create movement. They craft nations. They seal a marriage. They cast vision. They make us laugh. They focus our attentions. And they script our possibilities.". 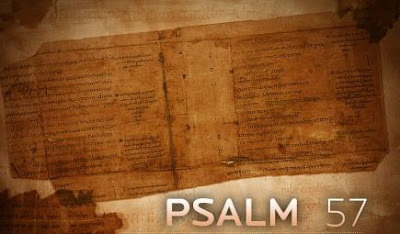 I was reading Psalm 57 recently and was struck by verse 7: "My heart is steadfast, O god, my heart is steadfast!..." I think the reason why that declaration captured my attention is that I am so often NOT steadfast. The context suggests that David was in some kind of trouble, and he was crying out to God for His mercy, and help.When I need God's help, "steadfast" is often the least likely heart response that I might be manifesting. Things like "desperate" or "frustrated" or even "angry" is much closer to the surface. So...my resolution before God is to become more steadfast in the face of life's adversities. I cannot claim to have the kind of turmoil that David had, but in my own little struggles, I can emulate this great man of God, and try to be more steadfast in my trust of God's Grace and Mercy; even when it is not the most obvious response to the circumstances. David was called "a man after God's own heart", and his steadfast trust is obviously part of that heart orientation.So in some small way, my goal is to say with David: "my heart is steadfast, O God." What about you?